I thought this was the most professional and polished piece of online wine marketing I've ever seen. Truly- it was first class from beginning to end and I'd like to thank Wines of Chile for allowing me to participate. Until just recently, one of my favorite local wine shops didn't carry a single Chilean wine. One of the things I enjoyed most was comparing notes with the other wine bloggers on Twitter real-time during the tasting. It was really interesting when someone else agree or disagreed with my impressions of the wines, or specific nuances associated with each wine. The way it was set up, it was perhaps even better than a live tasting because everyone was free to blurt out what they thought of a wine. When attending a live tasting, people are of course polite and don't all talk at once. I thought this was a really neat aspect of the event. "Are green pepper aromas considered a flaw in Chilean red wines?" I thought the answer was quite interesting, which was (if I recall correctly) that green bean aromas/flavors are to be avoided, but green pepper is less desirable in some markets than others. In the UK, it's not such a bad thing. In the US, consumers generally don't like it. An indication of whether I liked each of the wines: The spittoon was dry at the end of the evening. All of the wines held up very well over a number days on the counter with the corks re-inserted in them. I take this as a good sign. Quality wines tend to age well overnight without any special preservation techniques. The first wine to go was the Errazuriz Carmenre. The last was the Los Vascos red blend. I think Carmenere is the first place to start when exploring Chilean wines. Buy a bottle for around $10 and if you like it, explore further. One I'd recommend is the 2007 Vina Chocolan. Another I'd recommend from is the 2007 (oops), also around $10. If you like what Carmenere has to offer at the $10 price point, two others I'd recommend are the $27 Errazuriz Single Vineyard (discussed in my prior entry here and available from wine.com in CA for $19.99 last I checked) and the $40 2006 Undurraga Founder's Collection. The Cabernets and Bordeaux blends I tried here, overall, weren't my favorites. I don't think Chilean Cab is a substitute for the characteristics you'll find in Napa Cab. I don't think that these smoky red wines are good warm weather wines. Because they're non-luscious and so dense I find myself looking elsewhere when it's warm (like Sauvignon Blanc or Riesling). Best to try one of these Chileans on a cool, rainy night. Chilean Pinot Noir is a variety to keep your eye on. Of the two that I've tried now, both were fantastic aromatically and on the palate. The finish is just a little less smooth that I'd expect in a Pinot Noir. Perhaps they would benefit from a year or two of aging. Overall, at $15-$18 the 2008 Cono Sur Vision discussed previously and the 2007 Vina Casablanca Nimbus Estate bring more flavor and excitement than most sub-$20 domestic Pinot Noirs I've tried. My thanks again to Wines of Chile for enabling me to taste through these wines. I really appreciate it. Jason over at Jason's Wine Blog has updated his list of Top 10 Trader Joe's wines. I know for a fact that his lists are very popular because his guest post on the subject of whether TJ's is a good place to buy wine consistently produces the top exit link from this site (for his prior Top 10 list from the fall of 2008). Looking through the list, it appears that about a third of the wines look familiar to me from Massachusetts TJs. The Top Pick, the 2007 Castle Rock Mendocino Pinot Noir I haven't seen anywhere in MA- but I have seen the California Cuvee of the same label. The Bogle Petite Sirah is a tasty pick and one that I've also enjoyed. From Sicily, the Archeo Nero D'Avola at around $4-$5 is a ridiculously good wine for the price. Head on over and have a look at the list. Jason's guest post on whether "Trader Joe's is a Good Place to Buy Wine"
RJ's guest post on "A Charles Shaw Blind Tasting"
Like what you see here? I'd love it if you subscribed to the site to hear about future wine deals and recommendations of wines of extraordinary value at all price points. "In my opinion, the best value in red wines of the world comes from Chile." This past week, I participated in a unique and innovative live online wine tasting. Wines of Chile supplied wine bloggers around the country with 8 distinct wines (along with a corkscrew, stemware, and a spittoon) and asked us to log in and take part in a moderated, guided tasting. As we tasted the wines, we watched live streaming video of winemakers from Chile representing each of the wines we tasted as they were interviewed by Michael Green, Wine & Spirits consultant to Gourmet Magazine. While they were talking, we could type in questions for the winemakers, which were passed along by the moderator. Many of the bloggers were also simultaneously discussing the wines, and the event in general, on Twitter. You can view the discussion (which is still going on as people taste through the remainders of the wines) by searching for the #WinesOfChile hashtag on Twitter. The wines we tasted carry MSRPs between $10.99 to $26. The next day, I shared half of the bottles with my friend "DK" (8 bottles are a lot to drink through over the course of a few days). His notes accompany mine below for the bottles he tasted. I included label images below for the wines I thought were most noteworthy. This was a nice clean start to the evening. Not quite as flavorful as a New Zealand Sauvignon Blanc in my estimation; not as much fresh cut grass. Tasty and enjoyable though. DK said this was one of his favorite bottles (of the four he tried). The intriguing thing about this one was that it offers an alternative to the pricey domestic Pinot Noir category. On the nose, I really liked its strawberries and spice. The finish was big, but not as silky as I'd hope for from Pinot Noir. Overall, I thought it was very good, and at $15 it gives me hope that Chile may be an area for further exploration of value Pinot Noir. Of the sub-$20 domestic Pinot Noirs I've tried, this bottle was certainly better than most all of them. The talk around this one was that it needed time to breathe and that it got better as the night went on. I can say that I didn't like it so much when I first tried it- it seemed austere like a young Bordeaux. When I tasted it later that night and over the next few days it did soften up a bit. But it still wasn't one of my favorite wines. It was too tannic, like a young Bordeaux, which may or may not be a good thing depending on how you look at it. I think this was a good example of Chilean Carmenere. Dense wine, with noticeable green pepper aromas accompanied by spice and smoke. *Not* a good wine to enjoy on a hot summer evening, but in the right setting this wine provides incredible depth and flavor, especially considering the price point. Side note: This bottle was amazingly heavy with a nice attractive label (see image at the top of this piece). It has the appearance of being more expensive than it is. This was the wine of the night for me. I really enjoyed its non-green chocolate aromas. Very "round" and soft on the nose and on the palate, yet it did have nice grip on the finish. Carmenere is, for me, the wine to get from Chile. It's a distinctive wine- not trying to be something else. I would rate this wine 90 points. DK said, "Elegance and finesse. Much softer tannin than expected but still some there. Well balanced. Not overly suggestive of place (terroir) but a nice wine and well made. 87"
This one didn't do much for me in the tasting, though I really enjoyed the Undurraga Founder's Collection Carmenere I tried previously (CellarTracker tasting note here). DK said: "Underwhelming. Some tannin, some wood some red fruit and not much else. Simple. 83"
Green pepper and cinammon on the nose. Smoke on the palate. Long finish. Not my favorite style, because I find wines like this to be non-luscious and as we come into the warmer time of year they're especially out of step with the wines I've enjoying. Maybe on a cold and rainy autumnal evening I'd enjoy wines like these more. This was probably my 2nd favorite of the night. I sware I got some buttered movie theater popcorn on the nose, which was pretty cool. It was a complex wine- every time I smelled or tasted it I got something new. I would rate this wine 88 points. DK said "Had high hopes as it was the most aromatic but a bit of a let down. Some nice red fruit and some tannic structure there. Not much terroir. 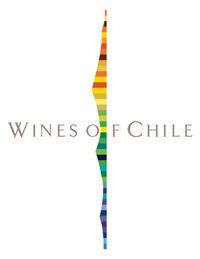 86"
Question of the Day: What do you think of Chilean wines? Do you seek it out as a source of value? If not, where are you finding better value? Legal Sea Foods is running a unique summer series of wine events at their Park Square location in Boston. Every Tuesday night through the month of June they'll be offering guided wine and food pairing sessions hosted by their wine steward Austin Ward. I've had the pleasure of meeting Austin on a couple of occasions, and I can say without hesitation that these sessions are sure to be enjoyable. The cost is $25 per person per session. Tax and gratuity are included. More information, including a complete schedule is available here. Question of the Day: Are you planning on attending an event in this series? What do you think of Legal Sea Foods and their wine program? 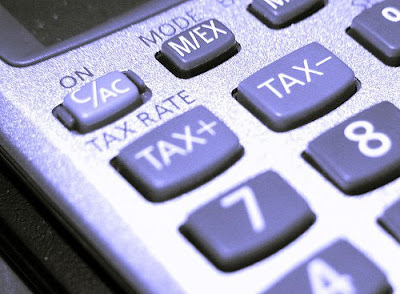 The MA state senate voted to raise the state sales tax rate from 5% to 6.25%. That in itself is news *but* the real news here (especially for wine lovers) is that wine, which was previously tax exempt at the point of purchase, will go from being taxed at a rate of 0% to 6.25%! In other words, that $20 bottle will now cost $21.25. It would also be much more affordable in states that don't have such heavy taxation on alcohol, and allow more competition in wine sales. Our friends from other states will note that they pay as much as 8 or 9% tax on wine, so what are we crying about? Well, historically alcohol has been taxed at the distributor level in MA, not at the consumer level. This increase will effectively introduce a double taxation on wine sales and likely makes MA one of the most expensive states in the union to buy wine. 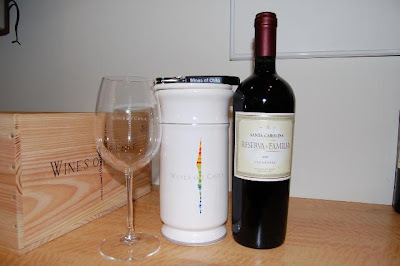 This is a guest post from RJ from RJ's Wine Blog. RJ and I did a cross-country blind tasting of these same three wines. A few months ago, I tasted five different Charles Shaw (aka Two Buck Chuck) wines and it was not a very fun experience. The Sauvignon Blanc and the White Zinfandel both made it into my "Wines to Avoid" file and none of the others scored above 80 points. For 5 wines, that's not a good showing. But, I also did not blind taste them, so I have since wondered if my own biases didn't allow me to rate the wines any higher. 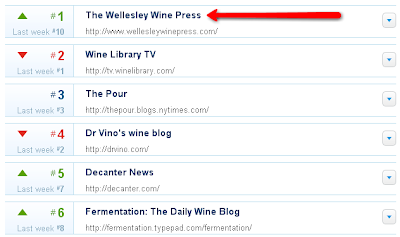 So, I decided I would tempt fate and connected with my wine blogging buddy Bob Dwyer over at The Wellesley Wine Press. We decided we'd blind taste three wines, all the same varietal, all under $12. As the Charles Shaw Cabernet Sauvignon was the best of the 5 Shaw's in my original tasting, with a score of 80 points, this is the one that would go up against both a California and a Washington Cab. For California, we decided on the 2006 Louis M. Martini Sonoma County Cabernet Sauvignon and, for Washington, we landed on one of Bob's favorites, the 2006 Columbia Crest Grand Estates Columbia Valley Cabernet Sauvignon. The only difference between our two tastings was that I had to use a 2007 Charles Shaw Cabernet Sauvignon, where Bob was able to pick up a 2006 to keep all the vintages the same. We both blind tasted the three wines on our own and, at the time of this writing, neither of us have seen what the other wrote. I'll be honest about my biases going in...The Louis M. Martini was my odds-on favorite. 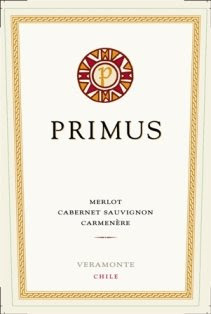 It is the most expensive at $12 (this is what I picked it up at, although I have since seen it cheaper) and Robert Parker gave it 90 points, calling it "one of the finest bargains in California Cabernet Sauvignon." My second pick was the Columbia Crest Grand Estates. It's one of Bob's favorite value picks, so I was very eager to try it, knowing he has great taste in wine. My third and very distant pick was the Two Buck Chuck - I've had it several times and I've been completely underwhelmed every time. This thing was a lock going in - Two Buck Chuck was going to fall...and hard. The second wine didn't play well on the nose for me. Lots of plum (if you remember from previous posts, I'm not a fan of the plum - in GaryVee's vernacular, I can sniff out a "Plum Monster" a mile away), cedar, too much oak, ending with a surprising little sprig of mint. In the mouth, the plum once again dominated, along with must/dust, red cherry and an unhealthy serving of oak that went all the way through a weak and hot finish. This one was, without a doubt, the Two Buck Chuck. My rating: 83 (not a bad showing, considering the last time I rated it I gave it an 80). My assumption at this point was that wine 1 was the Martini, wine 2 the Two Buck Chuck and wine 3 the Columbia Crest, with my final ranking of 1, 3 and 2...just as I thought going in. Patting myself on the back and letting my wife know how smart I was, I started to take the bottles out of the bags. What the? How the? Could it be? What will I say to my loyal wine blog followers, to my fellow bloggers who only occasionally think I'm full of it and to my wife who I just convinced that I was actually smarter than she might think? Could I face anyone who knows anything about wine? Well, here goes (deep breath)...the Two Buck Chuck (wine #1) came in with a rating of 87, followed by the Martini (wine #3) with a rating of 86 and then the Columbia Crest (wine #2) with an 83. The Two Buck Chuck had pulled off a HUGE upset! I couldn't believe it. So much so that I not only poured all the wines fresh and tasted them non-blind, but I also did another blind tasting an hour later to confirm my findings. For the non-blind, the Martini and the Shaw were still very close in all aspects, too close to make a meaningful call. The Columbia Crest still lagged behind and was falling out of contention very quickly. In the next blind tasting, there was a reversal between the Martini and the Shaw, but only one point, with Martini taking home an 87 and the Shaw an 86. Again, too close to reverse the original decision. So, what can I say? This is why I love blind tastings - you never know what you're going to get. I can't say I'm going to go out and buy a case of the Two Buck Chuck any time soon, but I will be more inclined to pick up a bottle here and there. It will be interesting to see what Bob discovered in his tasting. If you've had any of these wines, let us know - we'd love to hear your thoughts. I tasted the same three wines on the east coast. Here are the results of my blind tasting of these same wines. I recently discovered PostRank: a unique, semi-automatic service that ranks blogs and specific posts within each blog in terms of influence. I say semi-automatic because the blogs they track are manually entered by someone (I'm not even sure how my site wound up on PostRank to tell you the truth). Once the blog is tracked by PostRank, each entry is "ranked" on a scale of 1-10 (10 being best). Within each topic, the blogs themselves are then rank-ordered in terms of "influence" and updated on a daily basis. I think this is pretty interesting, because while other services like Alltop similarly rank blogs within a topic, the order never seems to change. Therefore, it's difficult to tell from looking at a listing of top blogs within a topic which are cranking out good content lately vs. perhaps being once-great but now burned out and not updating regularly. In addition to this ranking, PostRank also provides ways of filtering the content in your RSS feed reader based on their rankings -and- a widget that blog owners can use to guide readers to their most influential entries. Question: My blog has bounced around quite a bit in terms of PostRank rating. I was down in the 20s-50s for a while and then within a month or so I popped up to #1. Your site talks quite a bit about how individual posts are rated, but what more can you tell us about how blogs are rank ordered within a niche? Q: How far back does PostRank look? In other words, if I suddenly shot up to #1 on PostRank is it because of something I did right in the past week? Or something I did right a month ago? A: For topic rankings, it's the last seven days. So if you suddenly shot up to #1, it is because of hard work you've done and good engagement you've received recently. That said, what you do over time matters in other ways, since blogs typically "evolve" and grow readership and engagement. When you started your blog, it was awesome to get 2 comments on a post. A year later, perhaps 20 comments per post is more the norm, and you'd wonder why more people didn't engage if you only got 2. And presumably you've gotten into a publishing rhythm, developed your style and the the topics you cover, those sorts of things. Q: Your engagement sources include "Views" and "Clicks" within RSS readers- does this only measure views and clicks for people who have the PostRank Google Reader Extension? Q: How does PostRank track comments per post when there are so many different blogging platforms and commenting mechanisms in use in the blogosphere? A: Well, we can't track every single platform, app, or custom-made commenting solution, but we track the major ones, and have done a lot of customizations to account for some smaller ones and custom solutions when we can. Our research showed that most people use solutions we can track. Additionally, we track nearly two dozen engagement sources, so comments (and any other metric) are only one form of engagement. Q: Have you found that some people try to "game" the PostRank system? Say for example, they click on their own blog from PostRank.com or click on their own widgets a lot, or create bogus blogs that link to their own content. How does PostRank filter out that noise? A: It hasn't been a big problem. Each click, link, etc. is only ONE example of ONE metric in the spectrum of what we analyze, so trying to game the PostRank algorithms would be a full-time job. :) We've had spammers occasionally try to add lots of splog URLs to our system, but those attempts become obvious pretty quickly and are pretty easy to block and remove. Q: If someone would like their blog tracked by PostRank, what do they need do? Thanks for your time. I appreciate it. Question of the Day: What do you think of PostRank? Earlier this week, I published the wwpQPR- a formula for defining wine value. Today, I'd like to show an example of how the wwpQPR can be useful. I'll be applying it to the top value wines we've talked about lately here on the site in order to find the *top* of the top values. 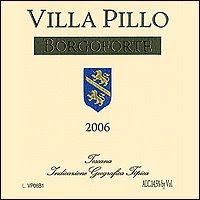 The 2006 Villa Pillo Toscana Borgoforte is an amazing value. If you go along with Spectator's 92 point rating, and generate a wwpQPR with a Baseline price of $38 (outstanding Tuscan red wine is pretty pricey) the result is a whopping 6.28: an Outstanding value. Malbec is a source of value. Here's one that was highly rated by the WSJ that Wine Spectator thought was pretty good too: WSJ Best Buy $10 Malbec 90 points for me- a wwpQPR of 2: Very good. I don't think it's been rated by any of the major magazines yet, but this sub-$10 domestic Riesling is delicious and affordable. I gave it 93 points for a wwpQPR of 4.44: Outstanding. Value wines aren't always cheap. I love the 2005 Cakebread Cabernet Sauvignon. I'd score it 93 points, and at around $65 a bottle, it's actually a good value if you consider $50 a baseline for outstanding Napa Cab. This wine would score 1.54: Good on the wwpQPR Calculator. You can read more about why I love Cakebread so much here. Question of the Day: What's the single best value wine you've come across in the past year? I'd love to hear about it. Before we get too far, I'd like to acknowledge that some people really dislike rating wines with numbers. While I respect that view, numerical ratings are (for me) a convenient way of summarizing an opinion of a wine that allows me to quickly scan a piece of writing in order to determine if I'd like to read the accompanying tasting note for further information. Even if you don't like points, I hope you'll find this analysis interesting as a way of understanding consumer behavior in the wine space. It's worth mentioning explicitly that when a wine is rated on the 100-point scale, the price of the wine does *not* factor into the rating. When someone says, for example, that they feel that a Charles Shaw Cabernet Sauvignon is an 82-point wine, they're saying that it is a good wine irrespective of price. It is up to us as consumers to determine whether a given wine, with a given rating is a good value depending on the price. Wine "A" was rated 93 points and costs $17. Wine "B" was rated 85 points and costs $11. A simple Quality Price ratio for these two wines indicates that Wine "B" is the better buy. But is it? Ask any retailer who has both of these wines on their shelves and they'll tell you: The 93 point wine will fly off the shelves while the 85 point wine is a tough sell. Why? Because each incremental point north of 90 is exponentially harder to attain, whereas each point south of 90 is exponentially more detrimental to sales. Let's examine this at the extreme. The 2003 Charles Shaw Cabernet Sauvignon was rated 82 points by Wine Spectator. 82/$2 is 41. Charles shaw is a good value, but it's not *that* good. It's nearly impossible to top that from a simple QPR perspective because a simple Q/P doesn't appropriately weight quality and price. Stated another way: A 93 point wine isn't merely 9.4% better than an 85 point wine. It's more like 8 times better than an 85 point wine. Further, regarding price- the price of a wine isn't evaluated at as a raw number. In reality, it's weighted relative to the cost required to attain the desired quality within the wine's peer group. More on both of these points in a moment. After thinking about this for a period of time, I sought to quantify the way I react to wine offers, and discussions about certain wines. First, let's discuss the notion of a value baseline. Frequently, I see ads from wine retailers offering "90 Point Wines for $20 or Less". I think that's a fair point at which to discuss relative value. For every 3 points north of the baseline quality, effective quality doubles. For every 3 points south of the baseline, quality is cut in half. Regarding price, my feeling is that we view price relative to the cost of a baseline wine in the peer group of the wine being rated, and that deviations from that baseline are looked at in terms of percentages rather than raw dollars. What I sought to do was come up with a way to normalize the overall equation such that the wwpQPR rated a wine that was on par with the baseline as "1.0". Any wine scoring better than 1.0 from a value perspective was above average, less than 1.0 was below average. Therefore, we divide the price of the wine being evaluated by the price of the baseline wine. For example, if a wine costs $30 vs. a baseline of $20, the denominator will be $30/$20=1.5 and will serve to diminish the wwpQPR as a result. If the wine costs less than the baseline, the denominator will be less than 1, which will increase the wwpQRP. For now, let's leave the Baseline Quality set at 90 and the Baseline Price set at $20. 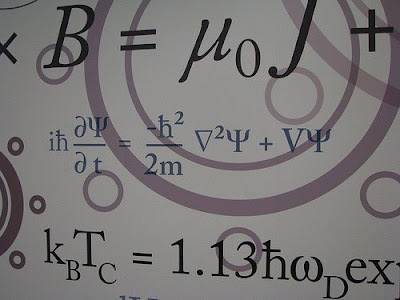 Let's calculate the wwpQPR for wines "A" and "B" we discussed previously. Wine "A" was rated 93 points, and costs $17. In the wwpQPR Calculator, enter 93 in the "Quality" field, and enter 17 into the "Price" field. Then click the "Calculate" button. You should see "2.35: Very good" reported. Wine "B" was rated 85 points and costs $11. Entering these numbers into the calculator should yield a "0.57: Below avg" reported. I think these assessments of the relative value of these wines align more accurately with the way consumers would react to these wines on a retailer's shelf than a simple Q divided by P.
First, you don't have to buy into the notion of professional ratings to get behind the wwpQPR. The numbers you enter for "Q" can/should be *your* assessment of how much you like a given wine. In fact I often do this. Take for example the 96-point Sauvignon Blanc/$29 we discussed a couple of months ago. The wwpQPR of this wine is 2.76: "Very good". However, when I had to pay $35 for the wine, and when I tried it I only thought it was about a 92 for me. That gives us a wwpQPR of 0.91: "Below avg". I probably won't be buying it again. Next, it's a fact that certain wine categories are more expensive than others. Famous regions like Burgundy, Bordeaux, and Napa command a price premium that doesn't automatically result in improved quality in terms of ratings. Other categories, like Australian Shiraz, New Zealand Sauvignon Blanc, and Malbec from Argentina are great for value. It is relatively easy to find a 90 point Aussie Shiraz for around $10. This doesn't mean that as wine consumers we fill our stashes up with these value categories. 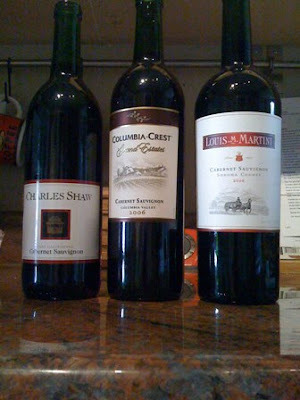 We buy some of each, the prestigious and the value, to round out a collection of wine. But how do we compare value across these regions? The answer lies in altering the baseline quality and price for each wine relative to its peer group. The average price of a 90 point bottle should be used as the Baseline price for the peer group. For Napa Cab, if I look up the wines that were rated 90 points by Wine Spectator for the 2005 vintage it appears that somewhere around $40-$50, 90 point ratings become commonplace. For Australian Shiraz, the price is probably closer to $15. We could then compare a Napa Cab to an Australian Shiraz to assess relative value. For example, take a 90 point, $27 Napa Cab. If we use 90/$45 for the baseline, this yields a wwpQPR of 1.67 or "Very good". If we look at a 90 point, $11 Aussie Shiraz with a 90/$15 baseline, we get a wwpQPR of 1.36 or "Good". This explains why I was more excited about the 2005 Buehler Napa Cab than the 2005 Yellow Tail Reserve Shiraz. The Buehler rated higher according to the wwpQPR because it is so hard to find value in Napa Cab, and so easy to find value in Australia (even though both wines were rated 90 points, and the Yellow Tail cost less than half of the Buehler). Another scenario where you might want to tweak the baseline values is to tweak how much of a value hunter you are. If you only consider wine a good value if it's 90 points and $10 you can change the baseline values to reflect that, and the number generated by the wwpQPR will model a your more stringent value criteria. I'll go deeper into advanced uses of the wwpQPR calculator in future blog entries. As a wine retailer, why did my latest offer of a 90-point Aussie Shiraz for $16 flop? 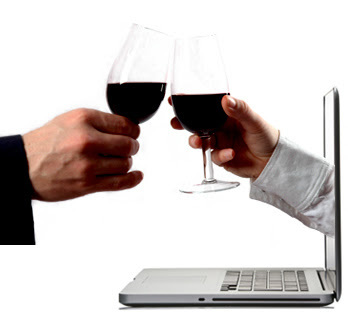 As a wine retailer, what kind of offers are likely to be most successful in the future? As a consumer, if I have to pay a 50% price premium for a hot wine, does that "wreck the QPR"? As a consumer, why is my wine fridge full of wine that seemed like a great value yet I'm not that excited to crack it open? As a consumer, how much is a 100-point wine worth to me? How much is each incremental point north of 90 worth? How can a 99 point Napa Cab that costs $125 be a good value? Which of the value wines we've talked about here on the WWP are the best values according to the wwpQPR Caluclator? This might seem like a strange exercise to perform on something like wine. I truly do consider some wines to be works of art- handcrafted, personal expressions of winemaker and place. In the right context, wine can transport us to another place and time. But other times, we're faced with an ocean of wine at a warehouse club, each competing to find a place in our over sized shopping cart. It's in this second scenario where I feel the wwpQPR is intended to be used. Finally, I know there will be some that glance at this and consider anyone who considers points and dollars in such a "scientific" manner to be a point-chasing "score wh*re". I find that most people who want to apply labels like this are people on the sell side of the wine trade who use name calling as a tactic to shame people into spending more on mediocre wine than they need to. Remember, the "Q" in the equation is what *you* think of a wine. It is a relative statement of how much you like one wine compared to another, just as the "P" is how much you can buy the wine for. I hope you do find the wwpQPR useful, or at least thought provoking. I look forward to your feedback, and I hope to leverage it as part of a game scenario in the coming months. Do you like this kind of consumerist mathematical wine mash-up? You know what would make my day? 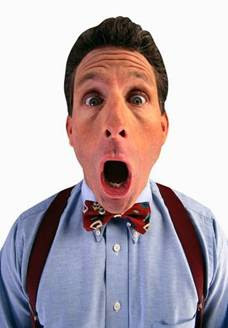 If you subscribed to the WWP in your favorite feed reader. Question of the Day: What do you think of the wwpQPR? Have you ever thought about this stuff before? Any suggestions for improvement? 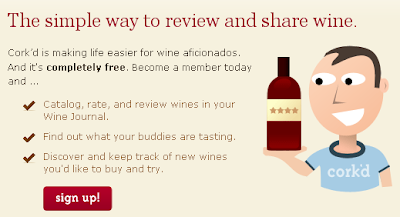 Cork'd is a niche social networking site focused on wine. A couple of years ago, when I surveyed the available options in this space Corkd.com stood out because of its simplicity, "Web 2.0" aesthetics, and affiliation with Wine Library TV. I was really looking forward to effortlessly and enjoyably keeping tabs on the wines my friends were trying. Along with its ability to feed my most recent tasting notes to my blog, Cork'd seemed like the perfect solution. I asked some of my friends to sign up and I enjoyed adding my tasting notes to the Cork'd database and exploring tasting notes from other users. The site was created by Dan Benjamin and Dan Cederholm, and was sold to Gary Vaynerchuk of Wine Library in May of 2007. When Wine Library acquired Corkd.com, it seemed poised to be taken to the next level. However, since it was acquired almost 2 years ago, the site hasn't been meaningfully enhanced at all. In fact, Cork'd development has completely stalled. This is an excerpt of something I wrote on the Facebook fan page for Cork'd almost a year ago. "I can tolerate the sloppy naming conventions used in wine ratings, the all-over-the-map ratings, and even the flaky search interface. I can tolerate these things because Cork'd has a ton of great attributes. I think that its foundation is really solid. It is intuitive and easy to use. I really want to continue using it, but the lack of innovation in the past 2 years is really depressing since it is so close to being perfect. Could "Cork'd" (the user) give us fans some sense of what is in the works for the site?" The response to this inquiry has been the proverbial "crickets". Looking back, I stand by almost everything I said. The only exception might be regarding the foundation. The more I've gotten to know Cork'd, the shakier I've found it's foundation to be in terms of its duplication of wines and its fundamental architecture for adding new wines into the Cork'd database. Around the time that I was starting to be frustrated with Cork'd, the site was apparently hacked and was down for 4 days. Once it returned, I began looking into what it would take to export my wine reviews out of the site as an Excel spreadsheet. Cork'd has an export function, but when I tried to leverage it, I experienced a "401/page not found" error. I pinged Gary on Twitter but no response. And that's the last I played with Cork'd for the most part. If I sound a little bitter, it's because I am. Sure, these services are free so what do I expect? Well, for starters I'm a little embarrassed that I asked my friends to join this wacko wine social networking site that ended up being half-baked. I know that I've received invitations from people to join strange new/up-and-coming social networking sites and I've been like "whaaaa?" I pride myself on sifting through the available options and making good recommendations on things like this, and I missed the mark on this one. If you joined Cork'd because I asked you to, I'm sorry. 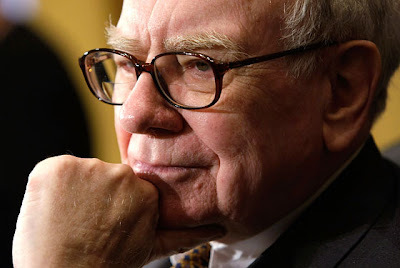 "Would he want to keep it alive, invest his resources into making it better than ever, keep the community alive ... His answer was a resounding yes." Where did I go instead? I've been incredibly impressed with the capabilities and value added by CellarTracker on a number of levels. I initially decided against using CellarTracker for aesthetic reasons, but when I heard via a newsletter from Eric LeVine that the site was undergoing a significant user-interface redesign I was sold. Since then, my experience with CellarTracker has been nothing but positive, including quick turnaround on some enhancement requests I had for Eric. Very cool. If you had to place a bet on a niche social networking site would be the most valuable 2 years from now, which would you choose? Mailbag: How long is it safe to store wine in the refrigerator? @JL Gray asks: "Does keeping a white wine with a screw cap in the regular refrigerator for a few months ruin it? For the 1st time ever, my wife and I took one sip and then decided to dump the rest." First off, thanks for the great question. The biggest problems with heat are when temperatures go too high (say warmer than 80F for an extended period of time) -or- temperate fluctuates wildly (say more than 10 or 15 degrees F). Regular refrigerators are typically set somewhere in the high 30 degrees F range, whereas wine refrigerators are set somewhere around 55 degrees F. While the regular refrigerator may be colder than ideal for cellaring purposes, the likely effect is that maturation of the wine would be slowed down rather than speeding it up. Therefore, I doubt that temperature could have negatively impacted this bottle of wine. The kind of light we're worried about here is sunlight, not the light in the refrigerator, therefore I think light can be ruled out as a culprit. 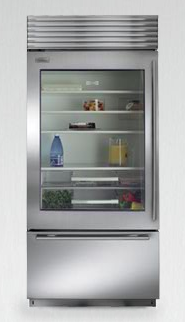 The difference in vibration levels between a regular refrigerator and a wine refrigerator are debatable, but one thing for certain is that keeping a bottle on the door of the regular refrigerator jostles a bottle of wine around more than if it were in a wine refrigerator. If there's a chance you'll store a bottle of wine in the refrigerator for a few months, it might be a good idea to keep it within the refrigerator rather than on the door, but in this case I doubt even if the bottle were stored on the door that it could have contributed to the wine being "off". The duration of the storage just isn't long enough for the wine to go bad in my opinion. Ideally between 60-70%, and the primary concern here is dried out corks (too dry) -or- mildew and mold (too humid). But this is a longer term concern (1 year plus I would say). However, in the case of the screwcap wine in question, I don't think either of these are a concern in the regular refrigerator. All of these together make it highly unlikely that the poor quality of this wine was caused by improper storage. I guess there's a potential for some variability in this answer depending on the white wine in question. Was it a domestic Sauvignon Blanc? Or a white Burgundy or a German Riesling? Either way, I don't think wine (especially white, especially with a screw cap) can be damaged by keeping it in the regular refrigerator for a few months. But like all things, when taken to an extreme they can become problematic. That's where wine refrigerators come in. What is the difference between a regular fridge and a wine fridge? That's a great question. Here's a great answer from Wine Enthusiast. Mailbag: How long should I hang on to this bottle of wine? Why you should always return wine that is "corked"
Do you think I got the answer right? Anything you'd like to add to the discussion? I've love to hear your thoughts on this excellent practical question. Costco Waltham has the Delas Freres Châteauneuf-du-Pape Haute Pierre 2007 for $32.99. RP says 92-94 on this wine from the heralded 2007 vintage. $30 for an oustanding CdP is a pretty good deal. More info on this item available here from K&L Wines (who is selling this one for $36.99 plus CA tax). Thanks to reader A. L. for passing this one along. BJ's Danvers has the 2008 Dashwood Marlborough Sauvignon Blanc for $7.99. For a release price of $13 and a 90 point rating from Spectator, this is a great deal on a summer white. Both Costco Waltham and BJ's Danvers have the 91WS 2008 Kim Crawford Sauvignon Blanc I mentioned earlier in the week for $12.99. Highland Wine & Spirits in Newton is having a free tasting of the amazing 2008 RedTree California Pinot Noir I mentioned earlier this week. It'll be on sale for $7.99. Stop in and taste the magic to see how many cases you'd like to buy of this QPR phenom. Bin Ends Wine in Braintree reloaded their bargain bins at 3 PM Friday (can you imagine? the bin ends from Bin Ends!?) but I hear all of the new inventory sold out already. :( Follow @BinEndsWine on Twitter to stay on top of their latest deals. Thank to reader D. K. for giving me a heads up about this one. If you have any deals you'd like to let people know about (whether you're a retailer or a consumer) drop me an E-mail any time. If they're noteworthy deals, I'd be happy to mention them. Have a great weekend! On a quick WWP note, I'd like to thank you all for visiting the site. April marked the 3rd consecutive month that the site has broken a new 1,000 page view milestone: Over 4,000 page views in April! I am truly humbled by the response this site is getting and your support motivates me to keep providing useful content. Thank you!